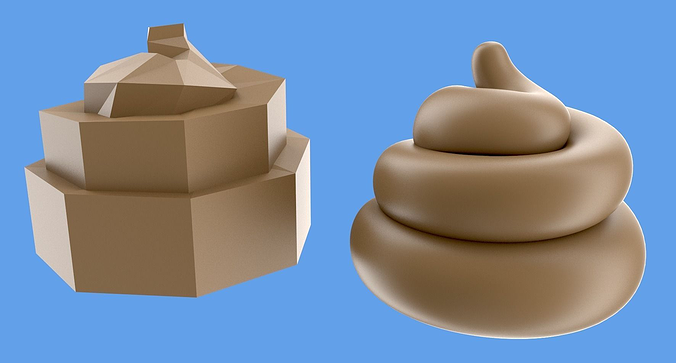 3D model of a turd or poop. All quad polygons, subdivision-ready for stinkingly detailed renderings. Blender file includes copy with Subdivision Surface modifier, simple Cycles renderer material and procedural environment for lighting and reflections.